Class has released the SMSF Benchmark Report for the last quarter. Approximately one third of ETF investors are SMSFs and more than half of all ETF assets are held by SMSFs. 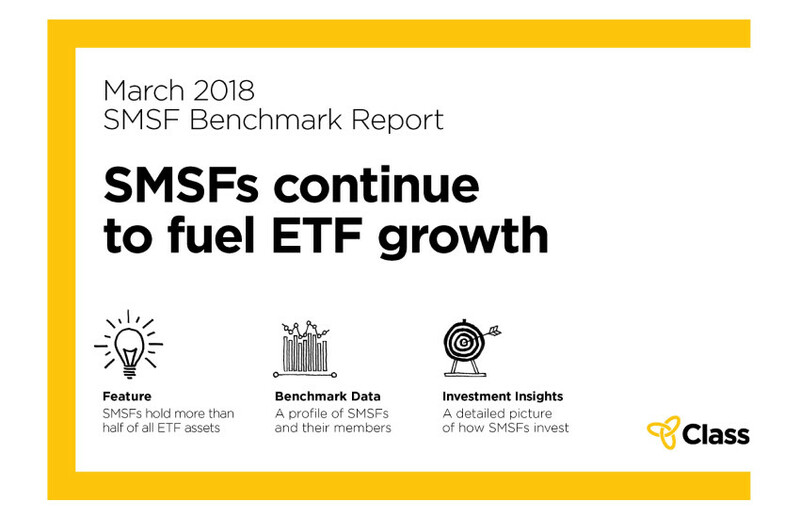 Over the last 5 years, total assets invested by SMSFs quadrupled from $4.2 billion to $19.6 billion, the percentage of SMSFs using ETFs more than doubled from 7.9% to 18.9%, and the investment in ETFs has tripled from 0.8% to 2.5%.